Our goal is to give you the tools and knowledge needed to keep this bond strong for the life of your new four-legged friend. 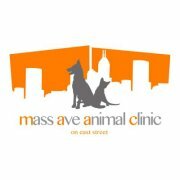 lifestyle possible.The doctors at Mass Ave Animal Clinic are highly trained and experienced professionals. They work side by side with some of the best and caring support staff in the industry to give you and your pets the best medical care. Compassion and concern for your pets’ safety, comfort, and well-being are our top priorities.